Submitted 9 months 5 days ago by editor. A new #MakingHistory 1918 Exhibition will open to the public at the Tower Museum on Friday July 27, exploring some of the key events taking place across Ireland during the 1918 period. The exhibition is being delivered by the Tower Museum in partnership with the Nerve Centre as part of a Decade of Commemorations initiative, a project supported by the European Union’s PEACE IV Programme, managed by the Special EU Programmes Body (SEUPB). 1918 was a year of civic action, the end of war in Europe, women voting for the first time and a groundbreaking election result in Ireland. The new exhibition includes five zones covering themes such as the suffrage movement and women’s fight for equality, the conscription crisis, the end of the First World War, health and well-being, developments in technology including film and flight and the emergence of a new society in post-war Ireland. Each zone features a mix of unique archive content from leading heritage organisations including the Tower Museum, National Library of Ireland, Imperial War Museum, National Museums Northern Ireland and the Public Record Office of Northern Ireland. Never before seen images of the Dorsetshire Regiment’s time in the city at the outset of the War of Independence will go on display for the first time as well as illustrations from the First World War diaries of Jim Maultsaid, who served with the Chinese Labour Corps. Images of servicemen with the U.S. 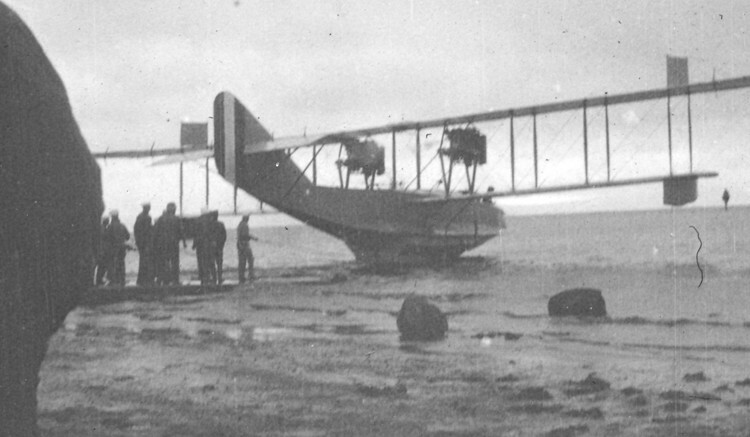 Naval Air Station in Lough Foyle during 1918 will also be showcased in an exhibition for the first time. Archive AV content will be brought to life through film, animation and augmented reality, free graphic novels featuring key characters in the exhibition will be available to visitors and a news feed and tweets will reveal stories from the time. An area of the exhibition will also highlight the work of participants involved in a community engagement programme working in tandem with the exhibition, exploring themes from the period through cutting edge digital technologies. An events programme will also take place across the year, featuring talks from leading historians such as Margaret Ward and Richard Doherty, cemetery tours with Seamus Breslin and Trevor Temple, a film programme in partnership with Foyle Film Festival and interactive workshops for young people and schools. Entry to the temporary exhibition is free. Visit www.derrystrabane.com/towermuseum for more information.